Calling all Wizard of Oz fans! 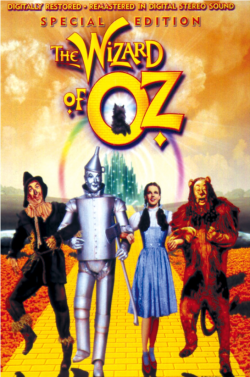 Join us for an evening lecture about the fascinating story behind the creation of The Wizard of Oz, immediately followed by a screening of the film. Location: The Salem Witch Museum Date: Wednesday, October 2, 2019 Tickets available at the door. Admission: $10 per person* Time: Lecture begins at 7:00 Movie screening at 7:45 *Free admission for anyone who attends dressed in Wizard of Oz costume! Katherine Howe returns to the world of The Physick Book of Deliverance Dane with a bewitching story of a New England history professor who must race against time to free her family from a curse. Talk and book signing at the Salem Witch Museum Wednesday, October 23, 2019. Doors open at 6:30 pm. Prizes, refreshments and free admission.